The Trib touches on a subject I addressed awhile ago. Three Republican members of the Texas Supreme Court running for re-election are facing Democratic challengers who say they may have a chance in the solid-red state with Donald Trump at the top of the ballot. Democrats point to recent polls that show Trump beating Hillary Clinton by just four points in Texas to explain a possible shift in Lone Star State politics. The Democratic National Committee announced plans in September to open headquarters in Houston to capitalize on the presidential race as a way to help down-ballot candidates. But only one of the Democratic candidates for Texas Supreme Court — Dori Contreras Garza — has raised even close to enough money to be competitive. And even her bid is a long shot in a state that hasn’t elected a Democrat to the court since 1994. The court has nine justices who are elected statewide to staggered six-year terms. The rest of the story is a profile of the three races and the candidates in them. The premise about fundraising is more than a little ridiculous because in all four of the cases cited, the amount raised by the candidate in question was less than $100K, which is basically a drop on a sidewalk in August. I mean, that’s modest money for a district City Council race in Houston. It literally would have zero effect on a statewide campaign, which for these races is all about getting one’s name out before the voters. I guarantee you, nobody who isn’t a political junkie or personally acquainted with a given candidate will have any idea who they are. So, as is so often the case, these races will be determined by overall turnout. I’ve already shown how in a scenario where the margin between Donald Trump and Hillary Clinton is small, the chances that one or more downballot Democrats could be elected grow, as Democratic candidates have seen less of a dropoff in their vote total from the top of the ticket in recent years. I wrote that post after a poll came out showing Trump leading Clinton by six points. More recently, we have seen polls where Trump’s lead was two, three, and four points. That could be overstating how close the race really is, and it may well be that there are other factors such as a higher than usual share of Republicans who will support Clinton but not any other Democrat that will ensure the GOP statewide hegemony remains intact. But as I said in that earlier post, it is not crazy to think that a Dem could win statewide this year. And if one or more do, it won’t be because they raised $10K more than their opponents. The Chron has a bunch of judicial race endorsements to make, beginning with the First and 14th Courts of Appeals. Both Republican incumbent Sherry Radack and challenger Jim Peacock strongly agree that service on this bench constitutes a great honor. That honor should go to Radack, 65, for another term, although Peacock came as close any challenger has to convincing us that the breadth of his experience as a litigator and the need for more philosophical diversity on the court would justify a switch. But ultimately, it’s hard for us to vote to unseat a sitting justice who is doing a good job, which Radack is. Plato imaged a world run by philosopher-kings, but Republican judge Evelyn Keyes is the closest that Houston gets. Our resident philosopher-judge, Keyes is a member of the prestigious American Law Institute, which helps write the influential model penal code. A graduate of University of Houston Law Center, Keyes also has a doctorate in philosophy from Rice University and a doctorate in English from the University of Texas. She’s penned numerous papers on legal philosophy, exploring the foundational underpinnings of our entire judicial system and arguing about the concept of justice itself. Now Keyes is running for her third term – a “last hurrah,” she told the editorial board, before she is aged out under state law. If elected, Keyes will be forced to retire after four years of her six-year term and will be replaced by a gubernatorial appointment. This race for an open seat offers voters two very different candidates who would each bring great strengths in their own ways. Republican Kevin Jewell, a graduate of the University of Houston Law Center, is board certified in civil appellate law and heads up the appellate practice at the Chamberlain Hrdlicka law firm. Jewell, 48, has spent his career practicing in appellate courts and his resume is practically tailor-made for this position. Justice Tracy Christopher is one of the “smartest, most reasonable judges” on this court. That’s not us talking – that’s her Democratic opponent, Peter M. Kelly, during a meeting with the editorial board. It is the kind of praise that should encourage voters to keep Christopher, a Republican, on the bench. A graduate of the University of Texas School of Law, Christopher, 60, is board certified in civil trial law and personal injury trial law, and served for 15 years on the 295th Civil District Court before her appointment to this bench in 2009. She’s received stellar bar poll ratings, and we were particularly impressed by her insight as to how the state Legislature has overridden common law in Texas, especially in medical malpractice and other torts. And for the State Supreme Court. Justice Debra Lehrmann, 59, has spent six years serving on the Texas Supreme Court and before that she was a Tarrant County family court judge for 22 years. In that time she has acquired a reputation as a hardworking and respected jurist with a record of success dating back to her days at University of Texas School of Law. Her Democratic opponent and former judge of the 214th District Court in Nueces County, Mike Westergren, says that there needs to be more balance on the all-Republican court. Lehrmann agrees but they differ as to the nature of the deficit. Westergren argues for more ideological balance, while Lehrmann maintains the justices need to continue to challenge each other. What is Republican incumbent, Justice Paul Green, doing wrong on the Texas Supreme Court? According to his Democratic challenger, Justice Dori Garza, not much. She told the editorial board that she’s not running against Green personally, but instead to provide greater diversity on the court. 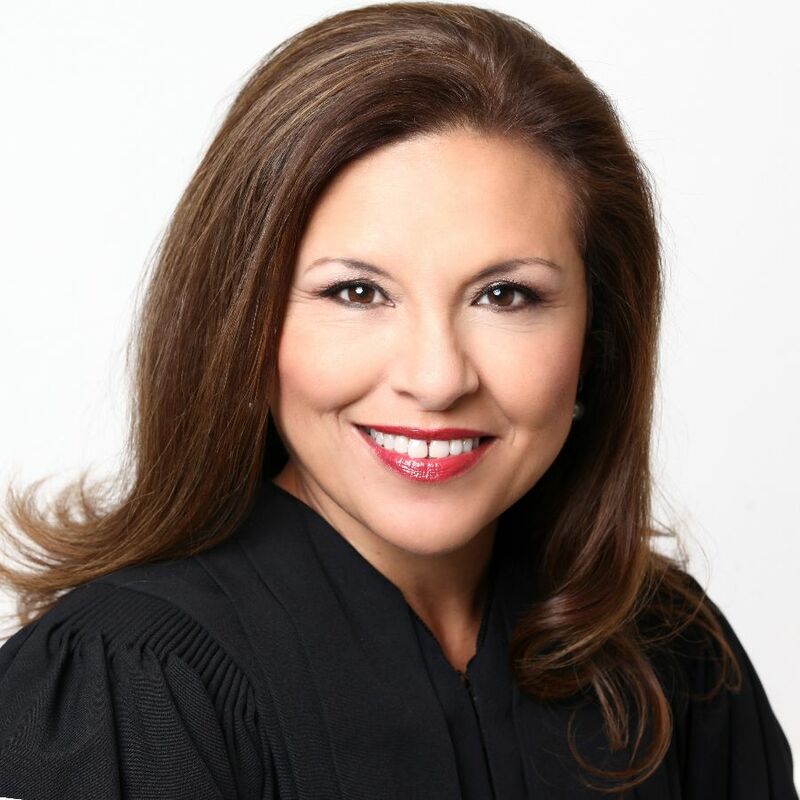 The first in her family to receive a college degree, Garza, 58, attended night school at the University of Houston Law Center and in 2002 was elected to the 13th Court of Appeals, which stretches from Matagorda County south to the U.S.-Mexico border. She’s been re-elected twice and in 2010 was one of three candidates recommended by the Texas congressional delegation to serve as a federal judge in Corpus Christi. If elected, she’ll bring different personal and ideological perspectives to a court that’s been critiqued as leaning in favor of corporations and state authority at the expense of everyday Texans. It took 100 pages for the Texas Supreme Court to explain that our state’s school funding system was constitutional, if imperfect. But Justice Eva Guzman’s passionate concurrence should light a fire under Texas politicians who may think that winning at the Texas Supreme Court absolves them of any duty to improve our public schools. They endorsed challenger Barbara Gardner over incumbent Evelyn Keyes because Judge Keyes will have to resign after four years due to the mandatory retirement age of 75. The main thing about both of these endorsement posts is that they basically like all of the candidates. They have a couple of clear preferences, but no races in which they consider only one candidate qualified. Consider that another piece of evidence to suggest that our oft-maligned system of partisan elections for judges maybe isn’t as bad as its frequently made out to be. My Q&A for Dori Garza is here, and I’ve got Q&As lined up for Jim Peacock and Candance White, so look for them soon. What can we do to increase the odds of a downballot Democratic victory? Yesterday, I raised the possibility of downballot Democrats winning statewide races if 1) polling in the Trump/Clinton matchup remained at or below the six point spread in the recent PPP poll and 2) Democrats did a better job voting all the way down the ballot than Republicans, as has been the case in recent Presidential elections. What can Democrats do to increase the odds of this happening? Let’s start by recognizing what we can’t do. 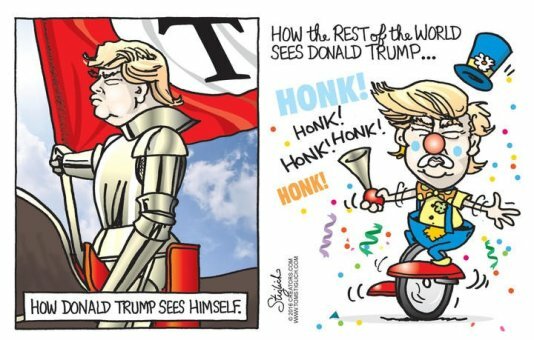 Trump’s gonna Trump, Clinton is going to do what she does, and the numbers will be what they are. If you’re reading this and you know how you’re voting, you’re not part of this equation – you’re already factored in. We also can’t affect what Republicans, whether NeverTrumpers or not, do downballot. It’s my supposition that conditions are favorable for Republicans to see fewer votes in downballot races this year than they might normally expect, but that’s all that it is. Even if I’m right about that, it may not be enough to make a difference. All Democrats can reasonably do is try to position themselves as best they can to take advantage of this if there is something to take advantage of. So what can we do? The good new is, this isn’t complicated. 1. Vote all the way down the ballot – I presume you already do that, but nothing is too obvious that it need not be stated. Vote all the way down the ballot, and vote for Democrats. I’ve been addressing the Supreme Court and Court of Criminal Appeals in these two posts, and before that I’ve been harping on the lower appeals courts. Don’t forget the district and county courts, too. 2. Spend your money and volunteer energy here in Texas – How much more incentive do you need than the prospect of winning a statewide race for the first time since 1994? Give a few bucks to your local party/coordinated campaign, volunteer to phonebank, you know the drill. Do something to spread the message. It doesn’t matter if there aren’t any local races of interest, either. If there can be a grassroots GOTV effort in Lubbock, there can be one anywhere. Find one and be a part of it. Meyers is an incumbent, having switched parties prior to the 2014 election; the rest are challengers. You could send them a few bucks to help them get their names out – even a little bit of extra name recognition may translate to a few extra people not skipping their race – or talk about them in your social circle. The name of the game is name recognition. 4. Reach out to left-leaning friends and family who won’t support Hillary Clinton – We all have people like this in our lives. A gentle suggestion that they vote for some downballot Democrats probably can’t hurt. Like I said, not exactly rocket science. Everything I’ve said here is intuitive, and would have an effect on the margins, since that’s where an effect can be had. I think the key here is just thinking that it really may be possible. Again, I stress the “may be” part – I don’t want to over-promise, but I do want people thinking about this.